Released on: September 29th, 2015. Brett Piper’s Queen Crab starts out with an opening sequence in which we meet a girl named Melissa (Liberty Asbury). She lives with her mother and scientist father (Mark Polonia) who just so happens to be working on a formula he hopes will make thing grow large enough to feed the impending population boom. Why he’s doing this out of the basement of his bungalow in the middle of nowhere is anyone’s guess, but you don’t question Mark Polonia. At any rate, Melissa befriends a crab, the crab comes into contact with the secret formula and then the lab blows up orphaning the poor girl. Ten years later, Melissa (Simone Miller) has grown into a rather fetching young, albeit heavily armed, woman who bravely looks after the land that was left to her when her parents died. She’s none too pleased when the local law, Sonny Huggins (Rich Lounello) comes poking around. What’s she hiding? Well, she’s still friends with that crab, but now, thanks to her father’s experiments, the crab has grown to massive proportions. The crab isn’t the most obedient pet, however. It’s been sneaking off of the land and eating things and it’s been laying eggs that have been hatching into smaller but still pretty damn big baby crabs. 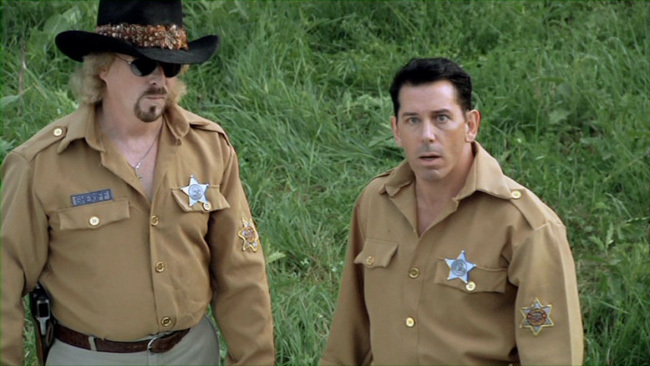 Eventually the Sheriff (Kevin Van Sant) is called in to get rid of the crab problem by any means necessary. Melissa is upset, but she won’t have to go it alone – a hunky local named Stuart (A.J. DeLucia) is on hand to help her out, as is her childhood friend… B-movie actress Jennifer Kane (Kathryn Metz)! This is a throwback to fifties style monster movies done on a micro-budget but with its heart, quite clearly, in the right place and it turns out to be a pretty fun way to kill eighty-minutes if you’re in the right sort of mood for it. Piper and his team are smart enough to avoid tongue-in-cheek style delivery and while they don’t exactly play it straight (the movie definitely has a sense of humor to it), they aren’t hamming it up either. The performances are decent enough to work and it’s always amusing to see Mark Polonia (who also served as producer) pop up in stuff like this. 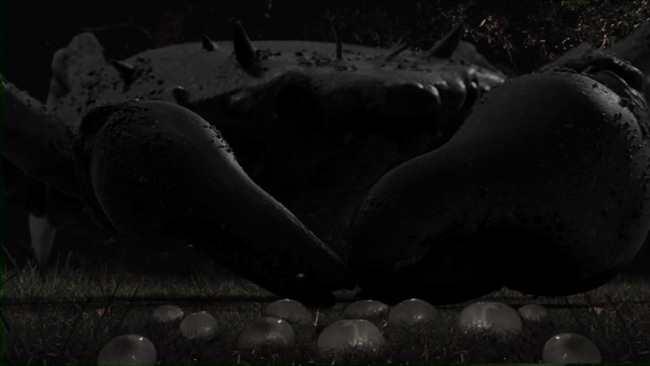 Simone Miller as the female lead is pretty good her too, seeing her interact with a crab created pretty much entirely using stop motion effects work is weird to see but she does a pretty good job acting opposite some things that aren’t actually there. It’s those same effects though that makes this one as appealing as it is. 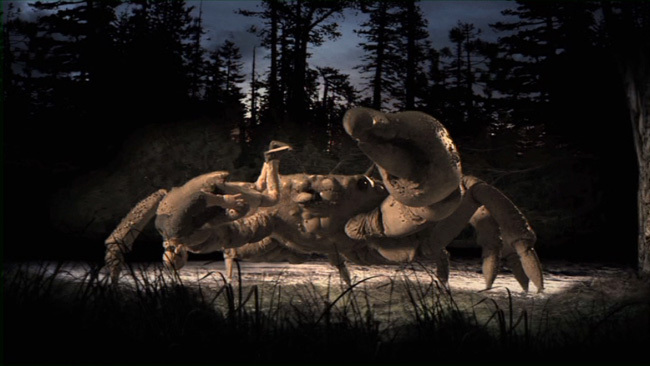 As mentioned, the crabs are done using stop motion and as such, the film doesn’t rely too heavily on CGI like a lot of similar nature run amuck movies tend to do (think SyFy and The Asylum for example). They move pretty fluidly but still have that weird old movie charm that makes stop motion projects like this as fun to watch as they are. The filmmakers make sure that anytime things get a little slow or a little talky that either the big monster crab shows up or one of the baby crab skitters into view to wreak havoc. 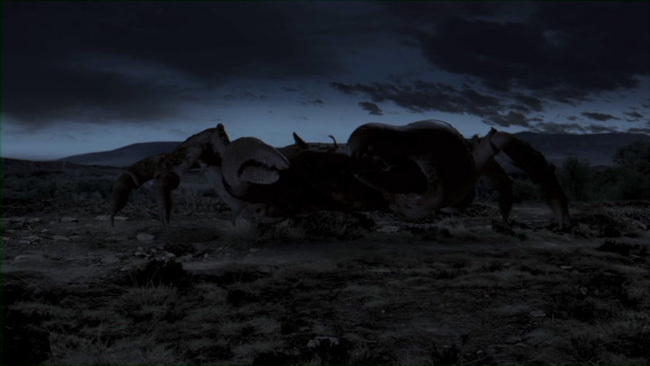 Some obvious and low budget CGI is used in other parts of the movie but the monsters are all done stop motion style (with a few props used for close up shots). 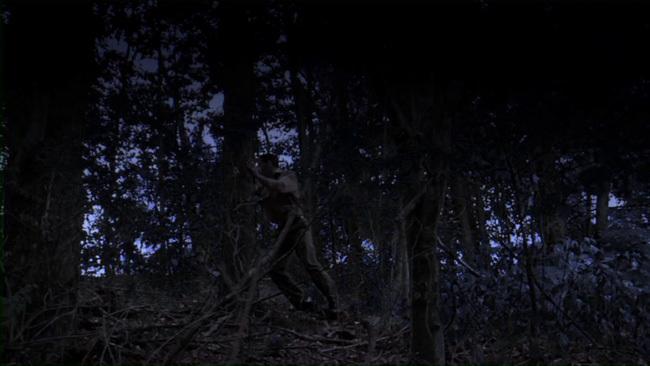 The 1.78.1 anamorphic widescreen presentation offers good black levels and nice, lifelike color reproduction. The shot on digital video movie is nice and clean, and the disc is well authored so there aren’t any serious compression issues. Some light banding and minor shimmer pops up here and there but otherwise, this looks good thanks to the obvious care that went into both the compositions and the lighting. The main extra on the disc is a commentary with writer/director Brett Piper, producer/actor Mark Polonia and actor Steve Diasparra. This is a pretty fun track that covers the casting, the locations (we learn why so much time is spent in a local dive bar), where some of the ideas came from and how working on a low budget required these guys to get creative. Piper leads the charge and has the most to say, discussing in a fair bit of detail the effects work that are no doubt the main draw for this picture, but Polonia is all over the track too, chiming in with his thoughts on what works and what doesn’t and keeping the talk involving and interesting. The disc also includes three quick featurettes. Behind The Scenes: Queen Crab Consequences is a seven and a half minute long piece in which various participants talk about using the ‘giant crab’ in the movie and the pros and cons of using stop motion to bring it to life. Queen Crab Conversations is an eight minute piece with some of the cast members about the characters that they play in the movie and about what it was like on set, while Composing The Queen is a six minute piece with composer John Greathouse who shows off the tools of the trade and how he came up with the score for the movie. 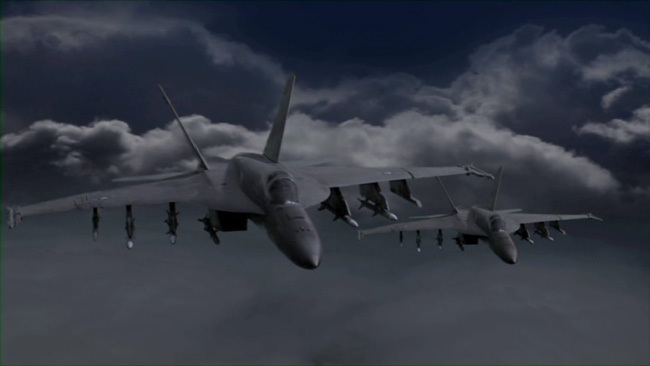 Outside of that we get a blooper reel, a trailer for the feature, trailers for a whole whack of other Wild Eye Releasing titles, menus and chapter selection. Queen Crab isn’t the most original film ever made and its low budget is obvious from the start but that’s not necessarily a bad thing. 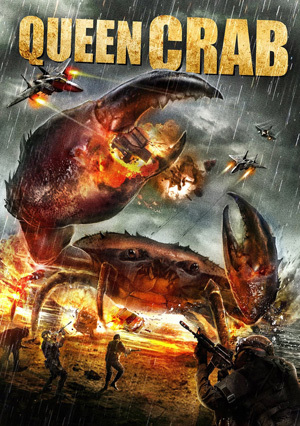 The acting won’t floor you and the concept is recycled but the humor in the movie works more often than not and the crab effects are genuinely awesome. 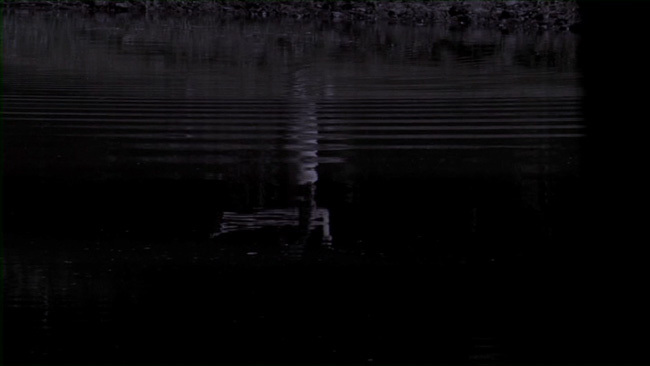 Wild Eye’s DVD looks and sounds about as good as it probably can and the commentary is genuinely interesting as are the featurettes. This won’t win over those who don’t already appreciate low budget monster movies but if you’re already a convert then you should have a good time with this.